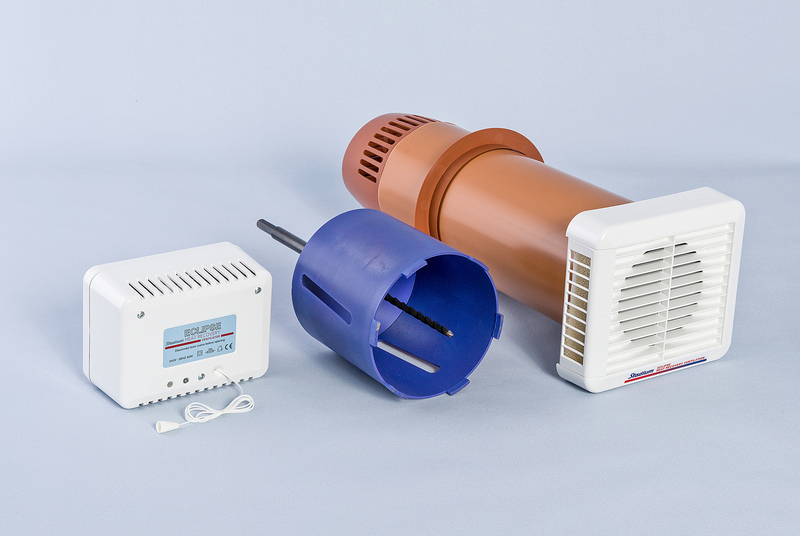 Heat recovery units in a bulk buy pack of 4. 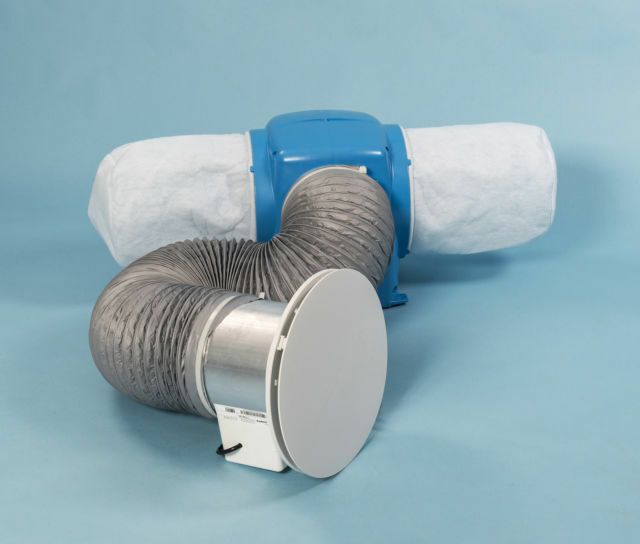 These humidity control heat exchange fans reduce relative humidity and alleviate condensation, providing continuous ventilation with minimum heat loss. The Stadium HRV 150 fan offers an effective single room solutions for area suffering with consistent condensation problems. Unlike conventional extractors these heat recovery units contain two fans, one to expel stale air and the other to draw in fresh air. 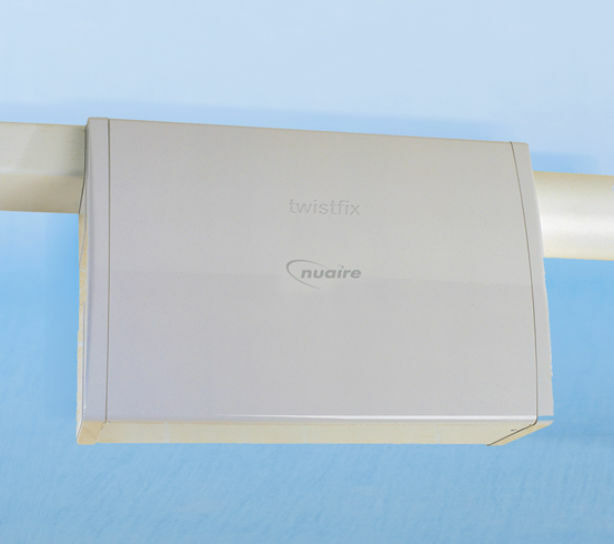 The two airflow streams pass through a highly efficient heat exchanger. The heat energy in the expelled air is transmitted to the incoming fresh air. The airflows never mix allowing 80% of the exhaust energy to heat the incoming air. The heat recovery units run at low speed providing consistent background ventilation. 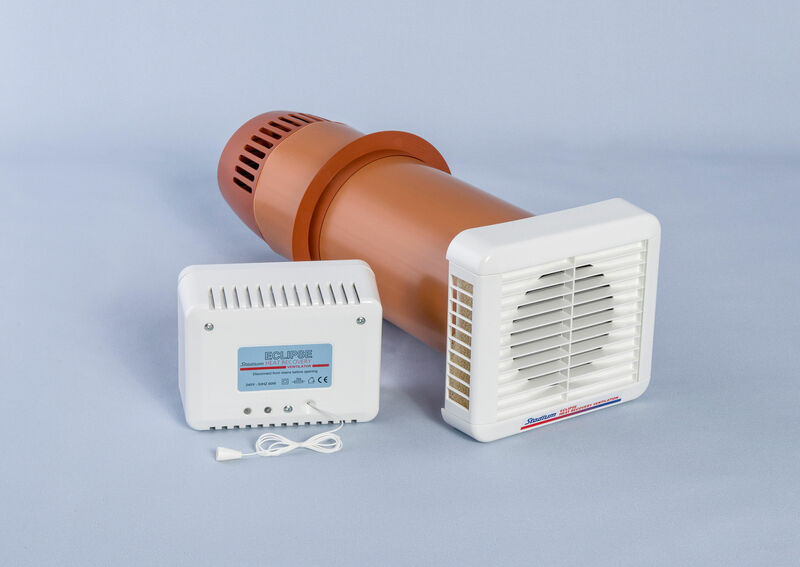 When the humidistat registers high level of humidity the ventilaton fan switches to its boost setting to quickly expell the moisture laden air before it has chance to condensate.